The most exciting ten days in the motoring calendar is officially over as the 89th annual Geneva Motor Show came to an end on Sunday 17th March. Over 600,000 attended the event, including industry experts, journalists and car fanatics eager to get a sneak peak of the new models we are likely to see in the near future. Despite visitor numbers being down, the show did not disappoint with several stunning new models and some of the craziest concept cars being revealed, leaving us eager for more. 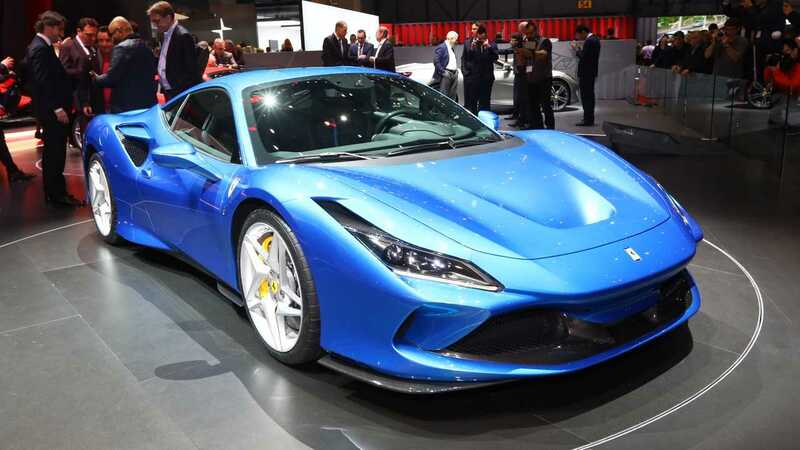 Millions and millions of pounds worth of metal, state-of-the-art technology and expert engineering made the 2019 Geneva Motor Show unmissable and, as always, there were a few surprises that even industry professionals couldn’t have predicted. From the revelation of what’s set to be the most expensive car in the world to perfectly restored vintage models displaying a past vision of the future, all the main and some lesser known car marques took the chance to show exactly what they had been working on over the past year. Attendees are in agreement that this was one of the best Geneva Motor Shows to date, but don’t worry if you missed out – we’ve got everything you need to know about the best new luxury cars right here, and of course, you can expect to see some of these join our fleet of prestige hire cars once they go on sale. Set to cost between a cool £9.5 and £13 million, Bugatti’s ‘The Black Car’ is going to officially be the most expensive new car ever sold. Custom-made for one very lucky (and very wealthy) customer, La Voiture Noire is going to be a one-off build, officially also instantly becoming one of the rarest luxury cars in the world. Unfortunately, we have to admit that we are not that customer but that doesn’t stop us appreciating the design and engineering that’s going to take over two years to produce this absolute masterpiece. The Bugatti La Voiture Noire marks the 110th anniversary of the luxury marque, paying homage to the fourth and final Type 57 SC Atlantic, an all-black prestige Bugatti which never made it to its customer and has been missing since the second world war. The myth and legend of the ghost car has gone on to inspire the remake, based on the Bugatti Chiron and utilising today’s technology to create a carbon fibre special edition with touches nodding to the original luxury car. As with all modern-day Bugattis, La Voiture Noire will be powered by a W-16 engine, expected to have a lower top speed than the Chiron but still offering amazing performance, ideal for grand touring. The body has been hand-built and features an elongated nose and tail alongside unique design elements set to make this an instantly recognisable yet barely seen hypercar. The new owner has not been officially revealed but this is one to keep an eye on as a car which is guaranteed to go down in history. Aston Martin became the stars of the 2019 Geneva Motor Show, officially revealing the resurrection of the infamous Aston Martin Vanquish with the Vision Concept car, the first mid-engined supercar that the marque has ever made. Aston Martin brought their A-game to the table with three luxury car reveals but the Vanquish Vision Concept has got the press and the motoring industry going crazy. The revival came as a surprise to show visitors, who were treated to a sneak preview of a supercar which is nearly ready to be let loose on the road. It has a full aluminium body and has been designed to be driven on roads, although the performance and handling is said to be so good, it would not be out of place on the racetrack either. 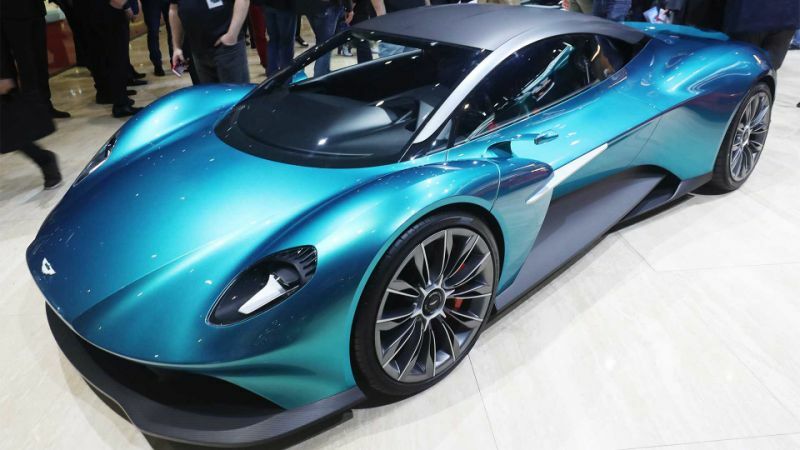 Performance figures have not been released yet but with a mighty V6 engine and rear-wheel drive, it is expected that the Aston Martin Vanquish Vision will have a top speed in excess of 200mph and cost upwards of £200k. Production begins in 2022 and marks the beginning of a new era for the luxury marque, featuring a whole new design ethic and a whole other market, introducing new competition for the likes of Ferrari and Lamborghini. Whilst this is an entirely new and unpredicted move for the prestige carmaker, Aston Martin fans can rest assured that this beautiful supercar will still feature signature styling, making it instantly recognisable. We’ve had the beautiful Bentley Bentayga available for hire in the UK since 2018 and it’s a firm favourite as one of our most luxurious SUVs, featuring stunning materials hand-made in Britain, phenomenal speed and enough space to accommodate for any journey. 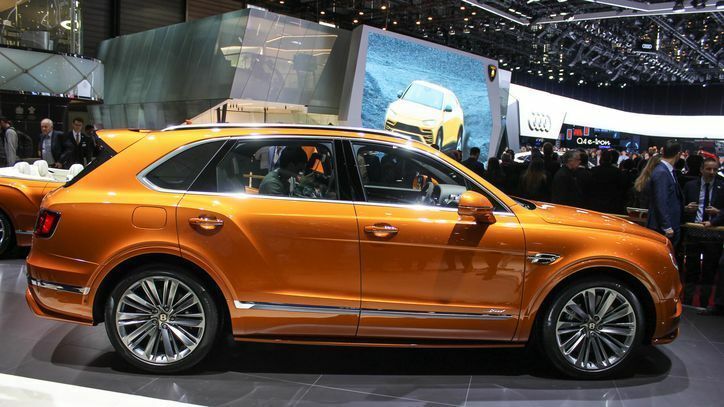 Just when we thought it couldn’t get much better, Bentley arrived at the 2019 Geneva Motor Show with the Bentley Bentayga Speed, officially reclaiming its title as the fastest SUV in the world, previously snatched away by the amazing Lamborghini Urus. Its engineering tweaks and revisions made to the Sport mode now allows the Bentley Bentayga Speed to accelerate from 0-62mph in just 3.9 seconds and boasts a top speed of 190mph. Of course, the new Speed model still features an impressive amount of space and a high-end interior, suitable for families, large groups or making for the perfect corporate hire car. Aesthetic changes include subtle improvements to the headlights, taillights and grille as well as a bigger, more intimidating wheel design. Changes are also expected to affect the overall sound and driver experience, resulting in a purposeful yet comfortable drive. Weight has been reduced at every feasible point although prominent safety features such as anti-roll remain at a premium. The Ferrari F8 Tributo was finally revealed in the metal, as the most powerful V8 supercar Ferrari has ever made. Featuring the same V8 engine that has won multiple coveted awards, the Tributo will literally be a tribute to that phenomenal engineering work. Replacing the Ferrari 488 GTB, the new Ferrari Tributo has a weight reduction of around 40kg, enabling a 10% improvement in performance figures. The new 0-62mph acceleration time should be a cool 2.9 seconds and it will boast a top speed of up to 211mph. Whilst the look of the new Ferrari supercar hasn’t changed too much, tweaks have been made to improve the aerodynamics and overall performance much to the approval of even the most discerning of Ferrari fans. Its attendance at the 2019 Geneva Motor Show meant visitors had a chance to get a more detailed view of the new interior, which will feature an upgraded infotainment system, a fresh steering wheel and an improved user experience design. Details of the exact price and release date are still to be confirmed but watch this space for more information on the latest Ferrari supercar. Although the vast displays of millions of pounds worth of metal definitely stole the show for supercar fans, luxury SUV makers were not to be outdone. 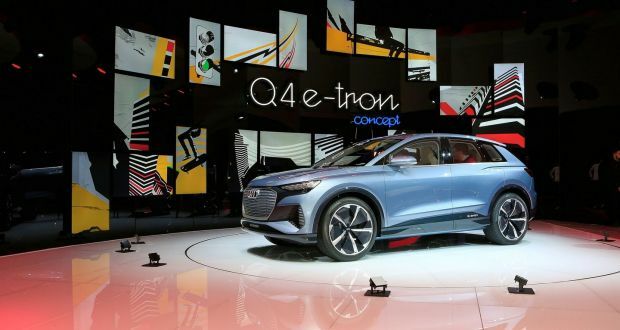 The new Audi Q4 e-Tron was unveiled in concept form and is set to launch in late 2020. It will be the fifth all electronic Audi to go on sale, costing around £40k and boasting a range of over 280 miles with an 80% recharge time of just 30 minutes. The luxury mid-sized SUV will have a top speed of around 112mph and provides the ultimate everyday option for families, businesses and individuals who wish to be a part of the ever-growing electric car movement. Interior space is set to increase, allowing for greater room for occupants to sit comfortably as well as providing ample area for luggage and everyday essentials. For the eco-aware, Audi have also introduced carpets made from recycled plastics as well as state-of-the-art touchscreens for a luxurious and comfortable journey. Audi also took the opportunity to confirm it will have at least 12 hybrid cars on sale by 2025, a move which displays some of the changes we’re currently seeing in the luxury car market. 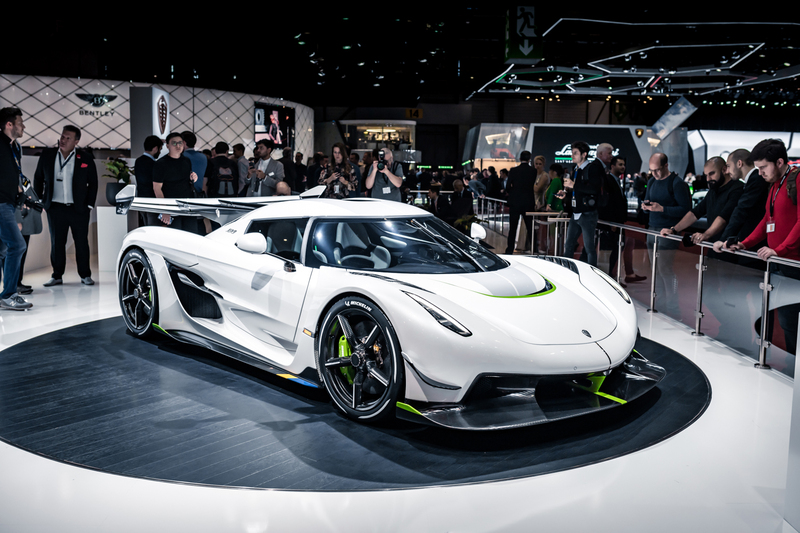 Not to be outdone, Koenigsegg arrived at the 2019 Geneva Motor Show with the jaw-dropping Jesko, a limited production model of only 125 cars. Not surprisingly, all 125 had sold out by the end of the show as, with a suggested top speed of 300mph, this could be the fastest road legal car ever made. The hypercar is set to zoom out of the Swedish factory at some point in 2020 and will also be one of the rarest cars in the world. The newly designed V8 engine and multi-clutch transmission allows for Koenigsegg’s intelligent ‘Ultimate Power On Demand’, enabling instant and readily available power which sees amazingly quick turns and an easily held top speed. The exterior design takes many cues from the popular Koenigsegg Agera with a familiar shape but also provides an impressive amount of space. Slight length and height adjustments allow for a larger cabin but also increased visibility, making the Jesko Koenigsegg’s best supercar design to date. A newly designed rear wing and front splitter help to drastically improve aerodynamics, allowing the Jesko to make the shift from the road to the track with undisputable ease. Although the entire design has been geared around performance on the race track, the Koenigsegg Jesko has been filled with the finest materials and state-of-the-art technology, set to keep the driver and occupant comfortable in any situation. Last but by no means least on our list comes McLaren, with a new project codenamed the Grand Tourer. At the moment, we’ve been kept in the dark with details of performance, specs or overall look but McLaren bosses have suggested this new supercar will break all the rules, becoming the best of its class and blowing competition completely out of the water. The mid-engined supercar is set to be both one of the lightest and one of the quickest models produced by McLaren and will take inspiration from the McLaren Speedtail and promises to be sleek on the outside, modern and clean on the inside. We’ll have to wait in anticipation but for now, watch this space for more details on this exciting release. 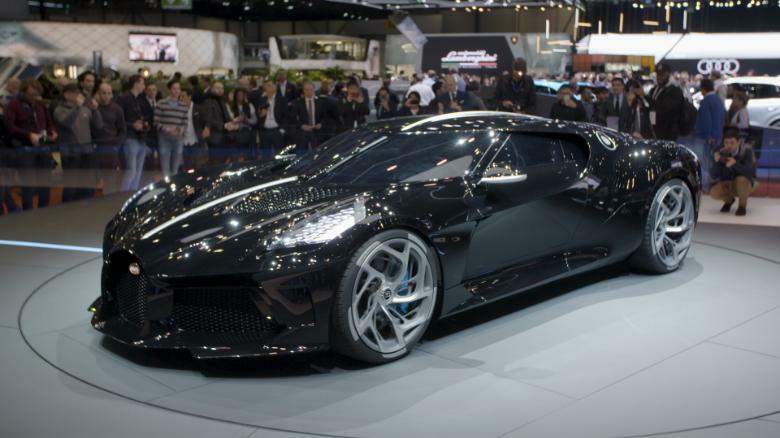 There’s no doubt that 2019 marked the year of the supercar at the most recent Geneva Motor Show. As always, we’ve been thrilled, surprised and inspired by the luxury cars that are due to hit our streets in the next few years and can’t wait to add some to our ever-growing line-up of luxury hire cars. Seeing supercars which are due to break several records for speed, price and power all help to display the incredible advancements in engineering in the last year alone and we can’t wait to see what the 2020 Geneva Motor Show will have in store. If you can’t wait for the release of these stunning new cars, Starr Luxury Cars have the biggest fleet of luxury cars for hire in the UK, including some of the fastest, rarest and most expensive cars in the world. Get in touch with our expert team to hire the latest Ferrari, Koenigsegg or Bugatti and satisfy your inner adrenaline-junkie today.